The Nokia Lumia 928 has reportedly been seen in disguise in New York City during a private Nokia concert held for "social influencers, lifestyle and consumer media". 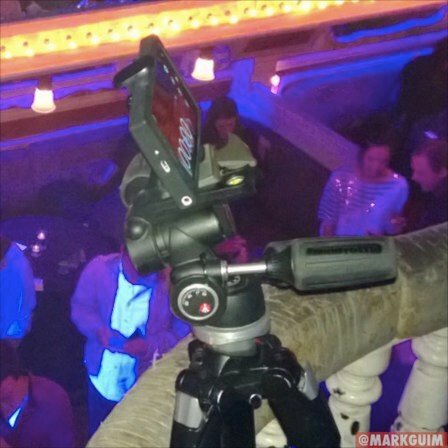 The Nokia Blog notes that numerous setups for recording video with supposed 928s in a thick black case was observed, and even a few Nokia folks had them closely guarded. Nokia is believed to be announcing the mobile phone in the near future and should this report be accurate it can't be long now. While the hardware was disguised in cases, the website claims the Xenon flash was unmistakable. Looking at the shot below, it certainly looks like the renders we've covered in the past. It's also noted that a port was spotted on the top of the Lumia 928 beside the headphone jack. The Nokia Blog speculated that this could be the microUSB charging port or HDMI out. We're confident in stating that the 928 does not have HDMI (sorry, folks) so it's most likely the micro USB jack. So why have the super secret Lumia 928 recording video at a private concert? To be used later in a promotional video, of course.The event was meant to highlight the Nokia Lumia 920 on AT&T and some of their other accessories, but indeed the whole thing may have also used as a setup for a future Lumia 928 ad. The Lumia 928 is believed (and rumoured) to launch on Verizon and we'll continue to keep a watchful eye for any details. Source: The Nokia Blog; thanks to everyone who tipped us!